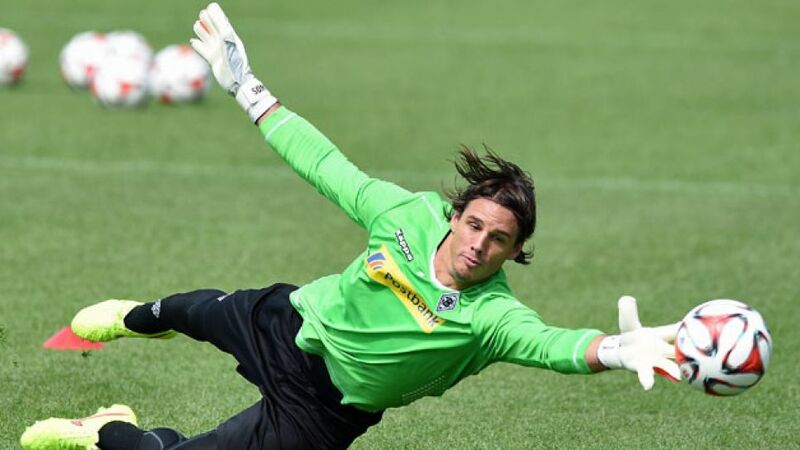 Finding someone to fill the gloves of Marc-Andre ter Stegen was never going to be easy, but in Yann Sommer, Borussia Mönchengladbach could hardly have asked for a more capable replacement. Born on 17 December 1988 in Morges, Switzerland, Sommer learned his craft at FC Herrliberg and Concordia, before joining the youth ranks of Swiss powerhouse FC Basel 1893 in 2005. After making over 30 appearances for the Under-21s, he moved out on loan to FC Vaduz, playing 50 times for the Liechtenstein-based club during a two-year spell. Recalled to Basel on 7 January 2009 owing to an injury to first-choice custodian Franco Costanzo, Sommer made his Swiss Super League debut in a 3-2 defeat to BSC Young Boys. He played a further six times for his parent club, before departing for Grasshopper Club Zürich on a season-long loan deal. Returning to Basel to pen a five-year contract, Sommer made his first-team breakthrough towards the end of the club's 2010/11 title-winning campaign. The Morges native sampled UEFA Champions League football for the first time the following season, which culminated in a league and cup double. Sommer made it a hat-trick of league titles a year later, but had to settle for a runners-up medal in the Swiss Cup. The shot stopper also had a big say in the club's run to the last four of the UEFA Europa League where they lost out to 2012 UEFA Champions League winners Chelsea FC. The six-time Swiss international got his hands on the Swiss Super League trophy one last time in 2013/14, before travelling to Brazil as part of Ottmar Hitzfeld's 23-man 2014 FIFA World Cup squad. A beaten finalist at the UEFA U-21 European Championships in June 2011, Sommer spent the tournament warming the bench as Switzerland fell to Argentina in the last 16. Having signed a five-year deal with Gladbach on 10 March 2014, Sommer belatedly joined up with his new employers for pre-season training in July. "It's not my intention to make people at Borussia forget about [ter Stegen]," he said at the time. "He's a great goalkeeper and we've got a similar style, but I just want to do my best for the team. I'm not putting myself under any pressure as Marc's successor."